Discover key insights into your restaurant’s digital marketing efforts, measure performance of unique strategies, and optimize your digital marketing for greater ROI. Find out what’s working and what’s not, adapt your strategy, and drive guest loyalty and growth. By tracking your digital marketing efforts, you’ll know results of your online campaigns right away and with zero guesswork. 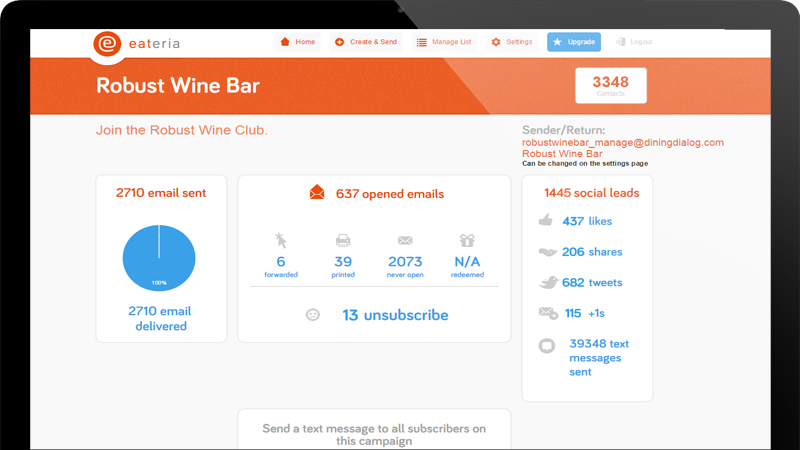 Find out how many emails are opened, shared on social media sites, how many coupons are printed and redeemed at your business, and more. Interested in seeing what our digital marketing software can do for you?